Australian light rail operator Keolis Downer has signed an agreement to acquire one of the country’s biggest bus operators Australian Transit Enterprises (ATE). The agreement was signed by the shareholders of ATE and Keolis Downer on March 10 and the transaction is expected to complete early April subject to customary approvals. ATE was founded in 1974 as a family business and has established operations in South Australia, Western Australia and Queensland. 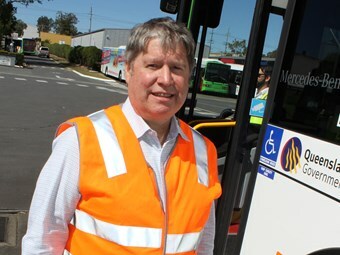 The operator has grown to employee over 1600 people and has a fleet size of 930 buses. ATE also holds 91 long-term regular route services and has revenue of around $190 million in FY2014. Keolis Downer operates and maintains Yarra Trams, Melbourne’s tram network, and G:Link, the Gold Coast light rail providing transport services to more than 190 million people per year. "The acquisition of ATE by Keolis Downer creates Australia’s largest privately-owned, multi-modal public transport operator," says Keolis Downer CEO Benedicte Colin. "Keolis Downer has a solid foundation with a strong capacity for growth and deep experience across transport modes. "The acquisition of ATE provides for our entry into the Australian bus market, building on Keolis Group’s existing operations in 15 countries and including more than 24,000 buses. "ATE’s management team share Keolis Downer’s commitment to providing world-class passenger experience. The commitment of the ATE business to providing safe, customer-focused journeys will continue." ATE managing director Jonathan Cook says this is an exciting opportunity for one of Australia’s leading public transport businesses to join with a global industry leader in order to build depth and capacity within the business and learn from world-class best practice. "This new phase of the business will allow for continued growth in established and new markets. The transition to new ownership includes a commitment to stable operations building on past success of a proven team," he says.